Comparethemarket.com pledges more than £100m ($150m) to marketing campaign. Price comparison website comparethemarket.com has won the contract to take over UK two-for-one cinema promotion Orange Wednesdays. In an expanded promotion, ‘Meerkat Movies’ will see customers of the website - synonymous with its Russian meerkats - offered two-for-one cinema tickets on Tuesdays and Wednesdays for a 12-month period from April 3. Mobile operator EE, formerly Orange, launched the popular two-for-one offer in 2003 but announced their exit from the scheme at the end of last year. 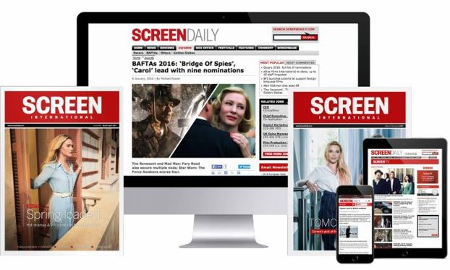 Sources close to the deal confirmed to ScreenDaily that comparethemarket has committed ‘hundreds of millions of pounds’ to marketing the promotion across a three-year contract, and has pledged an annual marketing budget ten times that of EE. The vast majority of UK exhibitors and distributors have signed up to the scheme with all commercial cinema chains on board. The contract is understood to have drawn interest from a number of companies running successful loyalty schemes including supermarkets and banks but industry were ultimately won over by comparethemarket’s enthusiasm, agility and superior marketing commitment. The deal represents a win for the industry, which saw cinema attendance plummet last year. According to one exhibition executive, the expanded promotion and huge marketing spend could see millions of new customers visit cinemas. Meanwhile, the pact offers the ambitious comparethemarket.com an opportunity to grow its younger client base, with film audiences still skewing towards the youth demographic. However, exhibitors will have a much smaller pool to tap into, with comparethemarket’s 5 million customer base significantly lower than the 17 million EE customers estimated to be eligible for Orange Wednesday. Barry Jenkins, chair of industry body Cinema First, which brokered the deal with comparethemarket, described the deal as a “watershed moment for UK cinema”. “This deal represents a meeting of minds…the comparethemarket.com team bring with them an incredibly strong track record and huge creativity in customer engagement,” he added. The manner in which telecom giant EE announced its exit from the promotion in December, contending that shifting viewing habits made the initiative less desirable, has left some industry noses out of joint. According to another source close to the deal, Orange Wednesdays was only being taken up by around 100,000 EE customers on a regular basis last year. But just this week, EE - which also backs the BAFTA awards and recently launched a TV service - announced EE Film Club, a promotion for EE customers to rent movies for £1 from online streaming service Wuaki.tv.